RSMSSB IA Recruitment 2018 - Apply Online for 1302 Informatics Assistant Posts in RSMSSB, Rajasthan on Direct Recruitment. 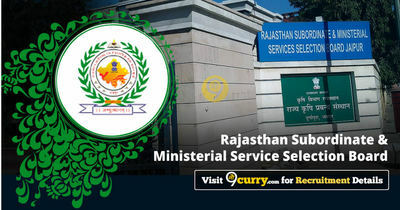 Online Applications are invited by Rajasthan Subordinate and Ministerial Service Selection Board from 13 Apr 2018 to 27 Apr 2018 for 1302 vacancies. RSMSSB IA Revised Result & Cut Off 2018 (Informatics Assistant): Rajasthan Subordinate and Ministerial Service Selection Board has announced the Result on 12 Sep 2018 for the exam . RSMSSB IA Exam Date 2018 Announced: Rajasthan Subordinate and Ministerial Service Selection Board has announced that the IA Exam will be held on 12 May 2018 from 11 AM to 2 PM. TSP & Non-TSP areas of Rajasthan. Degree / Diploma in Computer Science / IT / Computer Application / Electronics & Communication. Selection will be based on written exam & typing test.